I received an advance review copy of this book from the publisher through Net Galley in exchange for an honest review. 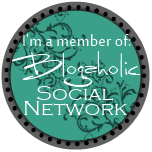 I have been on a role (knock on wood) lately with my ARCs from Net Galley. I have been reading some pretty awesome books and I am so thankful for it! This might have been one of my frecent favorites. I have read some other books by this author, but I like this one best. In it, she truly evokes life in the Lowcountry, and how beautiful and different it is to live there. I loved the characters here- Merritt, who has suffered greatly in the past and is trying to start over in the family home of her deceased husband in Beaufort, S.C.- Loralee, her very young stepmother, who shows up uninvited on Merritt’s new doorstep, with her 10 year old son in tow- and Gibbes- her unknown brother in law, who wants to understand what happened to his family years ago. We have southern mansions and mystery as the story is told through Merritt, Loralee, and Edith, Gibbes’ grandmother who’s death left Merrittt the house. If you enjoy tales set in the Lowcountry, you will love this book. I would love to know what comes next for these characters. It has been two years since the death of Merritt Heyward’s husband, Cal, when she receives unexpected news—Cal’s family home in Beaufort, South Carolina, bequeathed by Cal’s reclusive grandmother, now belongs to Merritt. Charting the course of an uncertain life—and feeling guilt from her husband’s tragic death—Merritt travels from her home in Maine to Beaufort, where the secrets of Cal’s unspoken-of past reside among the pluff mud and jasmine of the ancestral Heyward home on the Bluff. This unknown legacy, now Merritt’s, will change and define her as she navigates her new life—a new life complicated by the arrival of her too young stepmother and ten-year-old half-brother. Soon, in this house of strangers, Merritt is forced into unraveling the Heyward family past as she faces her own fears and finds the healing she needs in the salt air of the Low Country. This sounds like a very intriguing read! The cover makes it seem like a contemporary drama, but I’m glad there is more of a mystery to it. It’s great that you enjoyed it so much! 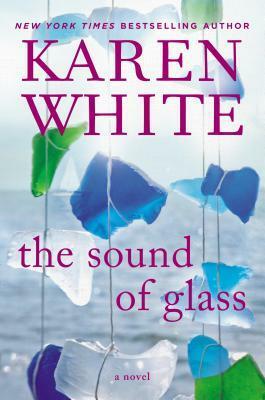 I love books by Karen White, and this one sounds like it won’t disappoint. It’s already in my TBR; I just haven’t worked my way down to it. Thanks for the review.